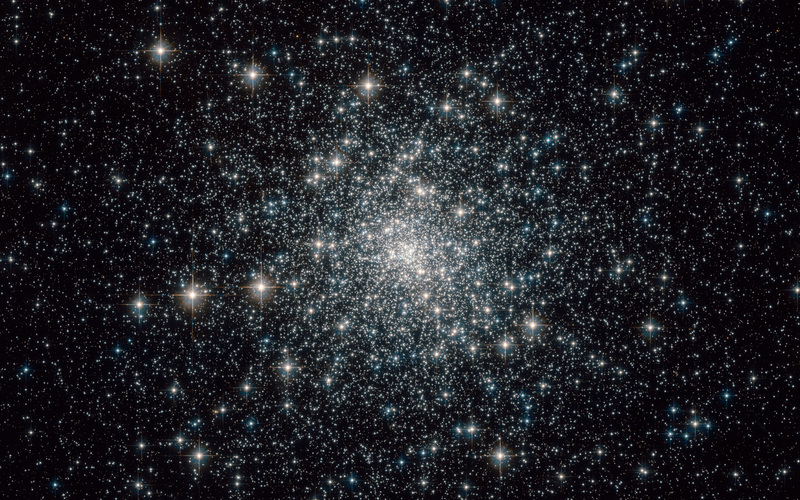 This brilliant image of Messier 30 (M 30) was taken by Hubble's Advanced Camera for Surveys (ACS). 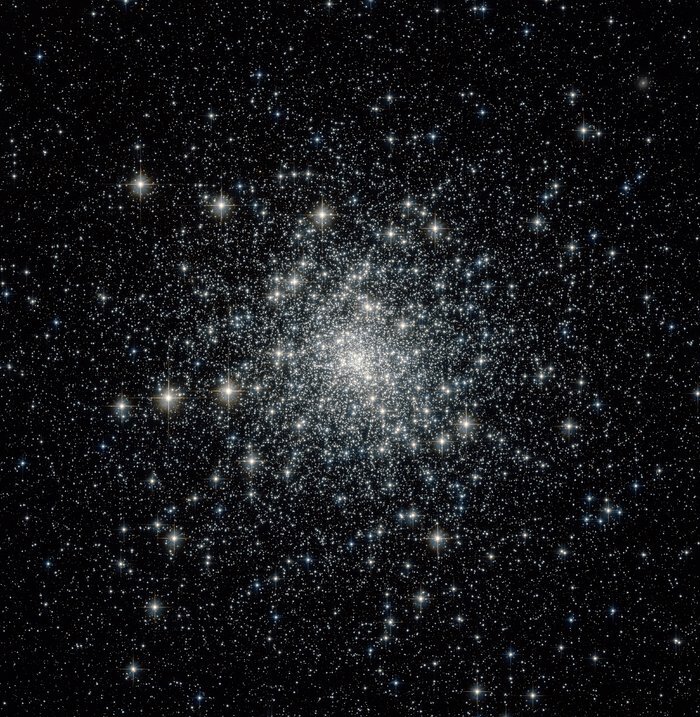 Messier 30 formed 13 billion years ago and was discovered in 1764 by Charles Messier. 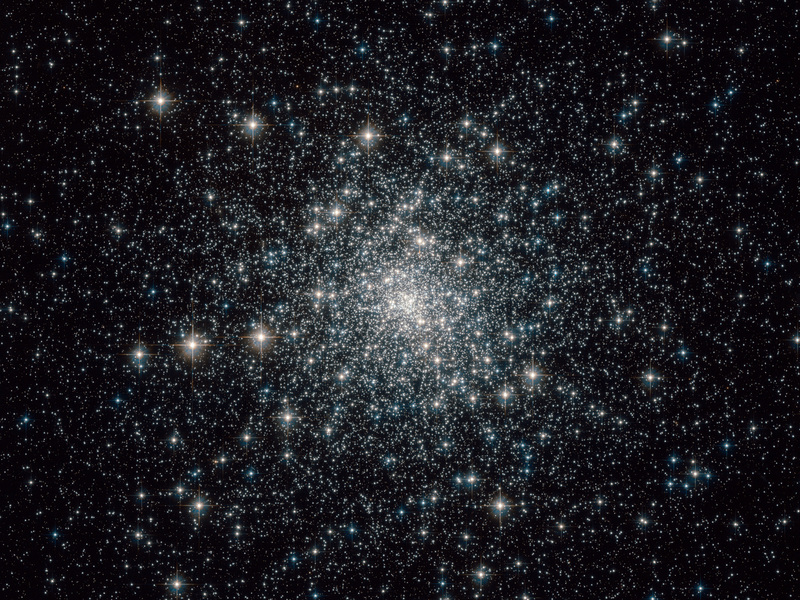 Located about 28 000 light-years away from Earth, this globular cluster — a dense swarm of several hundred thousand stars — is about 90 light-years across. Although globular clusters such as this one are mainly populated by old stars, the crowded field of stars leads to some old stars apparently reclaiming their youth in the form of blue stragglers. 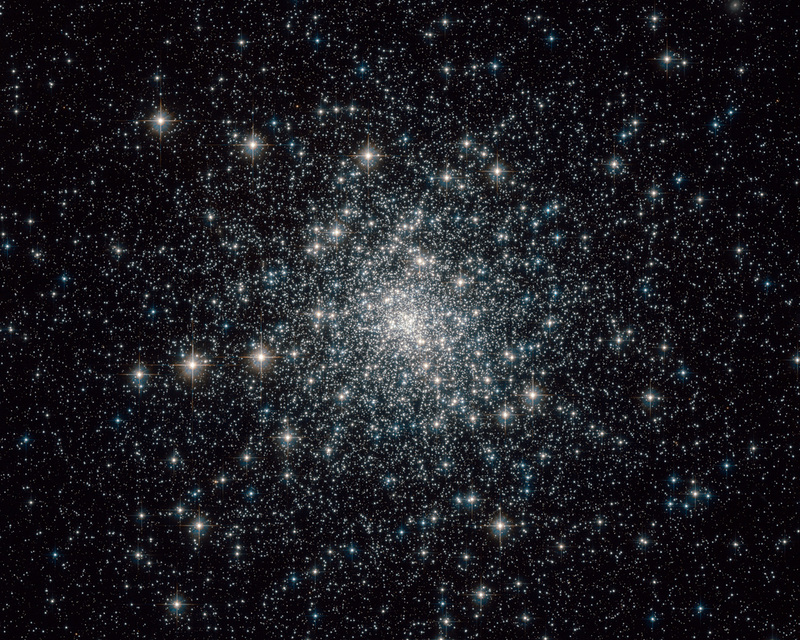 Researchers using data from Hubble's now-retired Wide Field Planetary Camera 2 (WFPC2) have identified two types of blue stragglers in Messier 30: those that form in near head-on collisions with one another and those that are in twin (or binary) systems where the less massive star siphons "life-giving" hydrogen from its more massive companion. Position (Dec): -23° 10' 44.66"